This training is designed to turn you into a Chart Geologist. The market is filled with Volcanoes (“breakout trade set-ups”) that are ready to make you money, it is just a matter of knowing where to find them, and how to trade them. Some of the Volcanoes are more obvious than others, but with the strategy you will learn in this training, you will be able to identify the two types of Volcano trade set-ups that exist. Many traders get themselves in trouble when trying to trade breakouts due to the fact they do not understand the psychology of not only the market, but also the psychology of breakouts. This training will give you the confidence you need to execute this strategy by teaching you all about the cycle of emotion that repeats itself over and over again within the market. 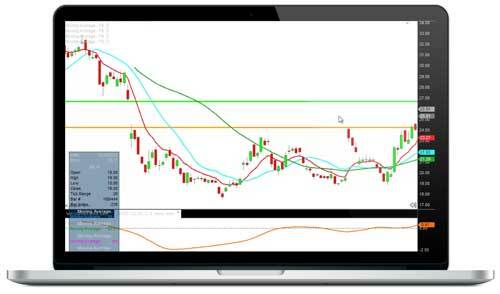 The training also focuses heavily on the money management aspect of trading. A strategy is only as good as the trader who manages it, so you will learn how to mitigate against risk and position your portfolio so it is in the best possible position to grow over time. This training is all about details and in-depth explanations. There are no broad explanations that leave you with the feeling of being incomplete and worst yet, not feeling confident. 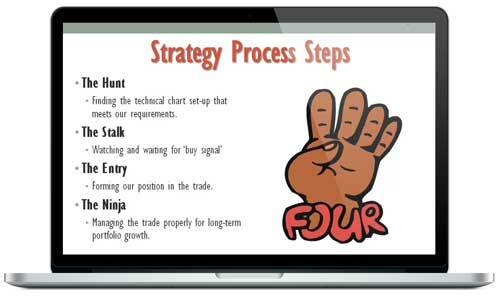 All the strategy tactics are taught step-by-step in a very logical and easy to understand presentation. You now need to wait for the price to act how the strategy says it should behave. If the price does not behave accordingly, you simply move on. You never entered the trade, so you have not lost any money. There are always two choices for how you can enter the trade. Both carry pros and cons. It’ll be up to your personal preference on how you want to enter the trade. Any questions about the training? Please click HERE and fill out the contact form. Enroll today and get instant access to the "Volcano Trading" subscription. This is entirely available online with the user name and password you will create during checkout.